Back pain can be utterly debilitating to the thousands of people across the United States who experience it every day. 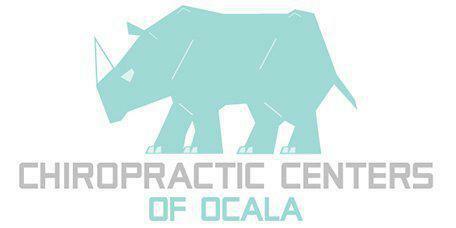 Dr. Chris M. Pell, DC at Chiropractic Centers of Ocala is an experienced expert in providing residents of Ocala, FL and the surrounding areas with safe and effective back pain relief. Back pain can be caused by a variety of factors—illness, injury, age, diet, posture, and a number of other environmental and physiological reasons. In adults between the ages of 30 and 60, the most likely cause is injury, either from muscle strain in the lower back or from issues such as a herniated disc, degenerative disc disease, sciatica, or other conditions. When Should Patients Seek Medical Help? Many people, when injured, wonder if just taking it easy will allow the body to heal itself. In some cases, this is true—the human body is a wondrous machine. However, if the patient experiences symptoms such as difficulty moving, standing, or walking; pain that radiates into the buttocks, groin or upper thighs; severe muscle spasms; or achy, dull and throbbing pain that doesn’t let up, they should seek medical attention immediately. A chiropractor can be an ideal choice for alleviating these problems. Treating pain that originates in the back and spine is precisely what chiropractors do. A licensed expert medical professional such as a chiropractor will sit down and review the patient’s medical history and symptoms. They may perform diagnostic scanning to help diagnose the source of the problem. When the reason for the pain is uncovered, the doctor will perform careful adjustment and manipulation of the spine combined with a custom-tailored course of treatment designed just for the patient. This can include exercise, physical therapy, diet, and a range of other activities and treatments all designed to alleviate pain and encourage the body’s natural healing processes. For years, Dr. Chris M. Pell, DC of Chiropractic Centers of Ocala has provided effective and safe treatments for a variety of conditions causing back pain to local residents across the area using a range of approaches including core-strengthening, vibration therapy, pressure point therapy, and more. Each treatment is personalized specific to the individual patient for optimal safety and effectiveness.